Everybody's favourite children's tale, The Very Hungry Caterpillar, is coming to Brisbane and we have a family pass (4 tickets) for Saturday December 15 at 12noon at QUT Gardens Theatre to be won! 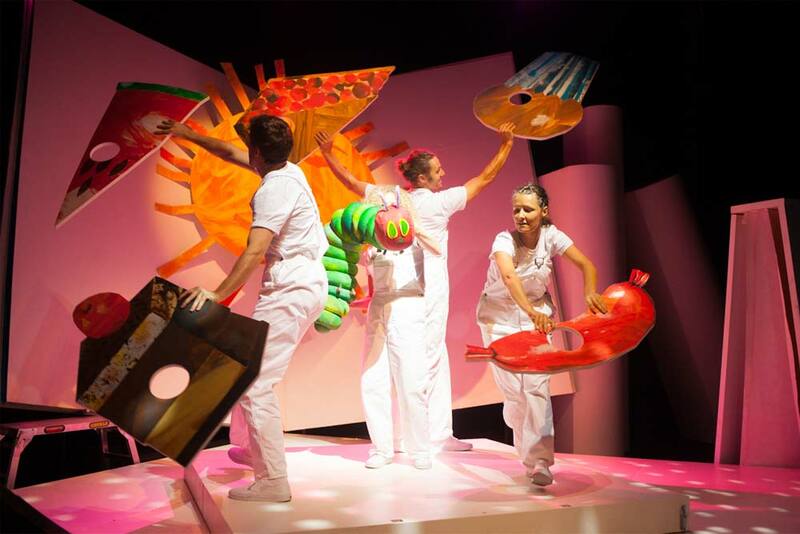 This enchanting Australian-made show - brought to life with a menagerie of 75 loveable puppets - faithfully adapts four of Eric Carle's much-loved books: The Artist Who Painted a Blue Horse, Mister Seahorse, The Very Lonely Firefly, and of course... The Very Hungry Caterpillar. To be in the draw to win this fantastic family prize, valued at $144, ENTER BELOW, and good luck! BY BECOMING A SUBSCRIBER YOU AGREE TO RECEIVE MATERIAL ABOUT THE VERY HUNGRY CATERPILLAR PRODUCTION AND OUR NEWSLETTERS WHICH CONTAIN EXCLUSIVE "SUBSCRIBERS ONLY" PRIZES!